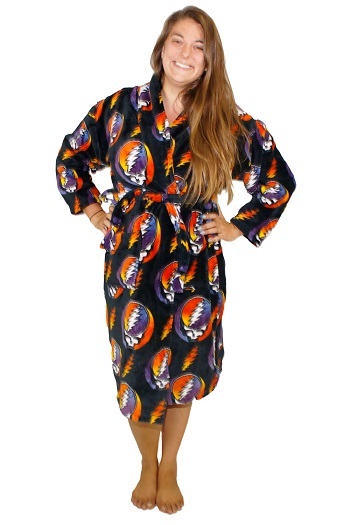 Step out of the shower, or take a walk on the beach in our Grateful Dead Steal Your Face robe. 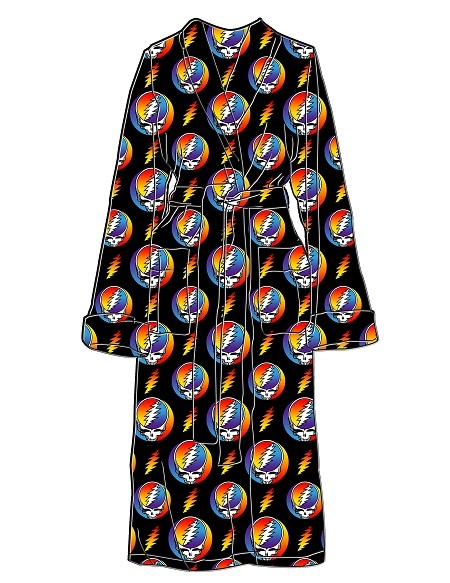 This Stealie bathrobe has side pockets and a tie closure. It's made from Coral fleece and is machine washable. Officially licensed Grateful Dead merchandise. Perfect gift for that favorite deadhead!